If you are a consumer, you have a legal right to cancel a Contract under the Consumer Contracts (Information, Cancellation and Additional Charges) Regulations 2013 during the period set out below in clause 1.3. This means that during the relevant period if you change your mind or decide for any other reason that you do not want to receive or keep a Product, you can notify us of your decision to cancel the Contract and receive a refund. Advice about your legal right to cancel the Contract is available from your local Citizens' Advice Bureau or Trading Standards office. Any perishable items, such as plants or seeds. The end date is 14 days after the day on which you receive the last instalment of the Product or the last of the separate Products ordered. Example: If we provide you with a Dispatch Confirmation on 1 January and you receive the first instalment of your Product or the first of your separate Products on 10 January and the last instalment or last separate Product on 15 January you may cancel in respect of all instalments and any or all of the separate Products at any time between 1 January and the end of the day on 29 January. The end date is 14 days after the day on which you receive the first delivery of the Products. Example: If we provide you with a Dispatch Confirmation on 1 January in respect of Products to be delivered at regular intervals over a year and you receive the first delivery of your Product on 10 January, you may cancel at any time between 1 January and the end of the day on 24 January. 24 January is the last day of the cancellation period in respect of all Products to arrive during the year. To cancel a Contract, you just need to let us know that you have decided to cancel. The easiest way to do this is to complete the Cancellation Form. A link to the store cancellation form will also be included in our Dispatch Confirmation. If you use this method we will e-mail you to confirm we have received your cancellation. 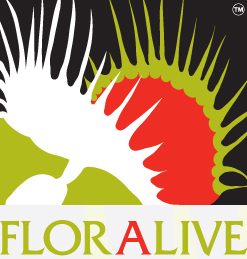 You can also contact us via e-mail at assistance@floralive.co.uk or by post to FLORALIVE, 6 Loxley Close, BIRMINGHAM B31 1BQ. If you are e-mailing us or writing to us please include details of your order to help us to identify it. If you send us your cancellation notice by e-mail or by post, then your cancellation is effective from the date you send us the e-mail or post the letter to us. For example, you will have given us notice in time as long as you get your letter into the last post on the last day of the cancellation period or e-mail us before midnight on that day. Refund you the price you paid for the Products. However, please note we are permitted by law to reduce your refund to reflect any reduction in the value of the goods, if this has been caused by your handling them in a way which would not be permitted in a shop. See our Returns page for information about what handling is acceptable and examples. If we refund you the price paid before we are able to inspect the goods and later discover you have handled them in an unacceptable way, you must pay us an appropriate amount.